This delicate unworn pale pink vintage diaper shirt was hand made in the Philippines. 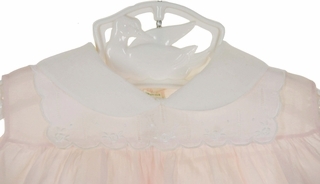 Made by Feltman Brothers, the leading designer of classic baby layettes for decades, it features very full swing styling with a white collar. A white overlay with delicate embroidered white flowers and fagoting tops the high yoke. The diaper shirt closes in the back with three tiny buttons. What a beautiful gift for a new baby girl! 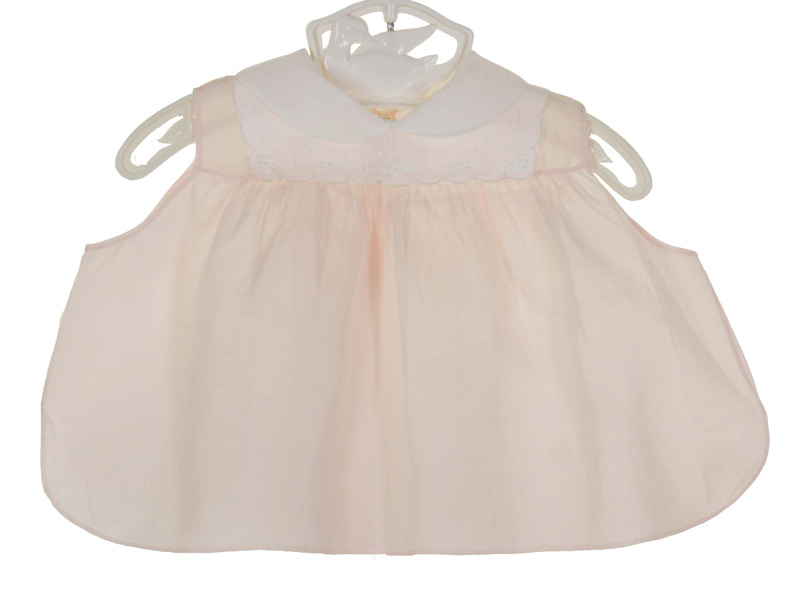 Size 3 to 6 month shoulder width=7½"
This item is sold out. Not sized but will fit 3 to 6 months.